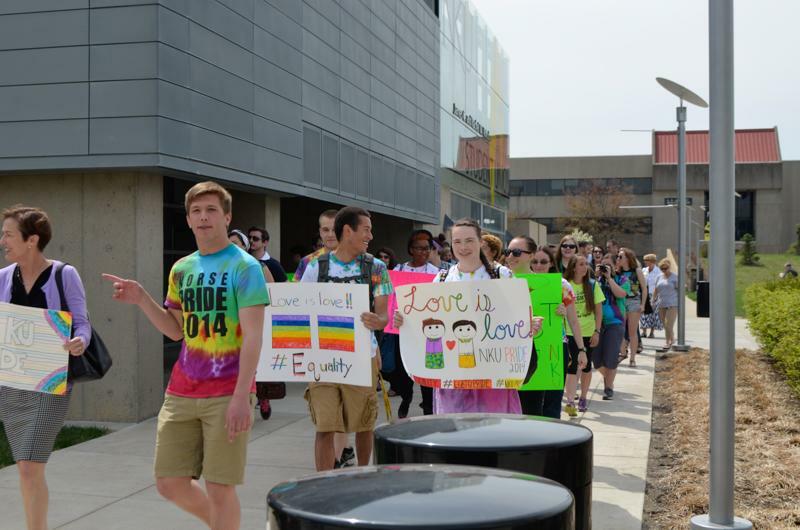 In the past, NKU's Pride March has served as a start to Pride Week. This year's march is NKU's 5th. 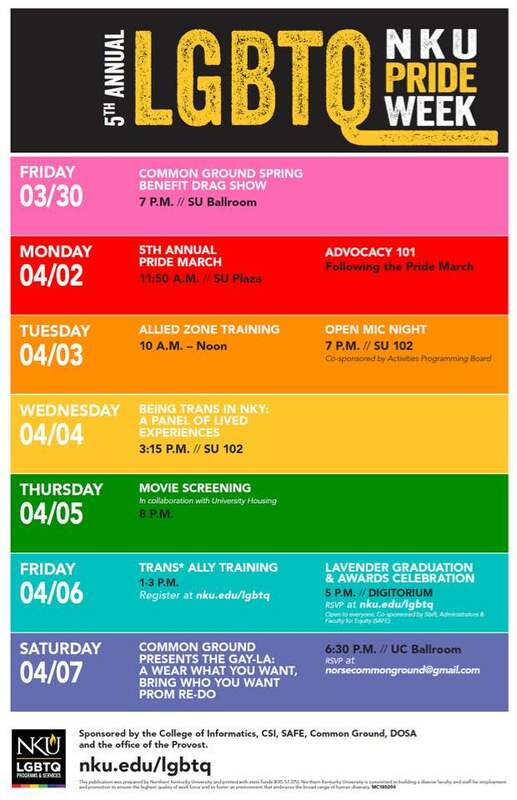 Following a drag show held in the Student Union ballroom Friday night, NKU’s 5th annual LGBTQ Pride Week begins with its annual Pride March on Monday morning at 11:50 a.m. in the SU plaza. The march, organized by LGBTQ Programs and Services, will be immediately followed by a resource fair and a class called Advocacy 101. Janiah Miller, an SGA senator and LGBTQ ambassador, said that the class was inspired by a trip that she and other ambassadors took to the Creating Change conference in Washington, D.C., hosted by the National LGBTQ Task Force. On Tuesday, an Allied Zone training lasting from 10:30 a.m. to 12:30 p.m. is open to the entire campus. Interested students and faculty can apply here. 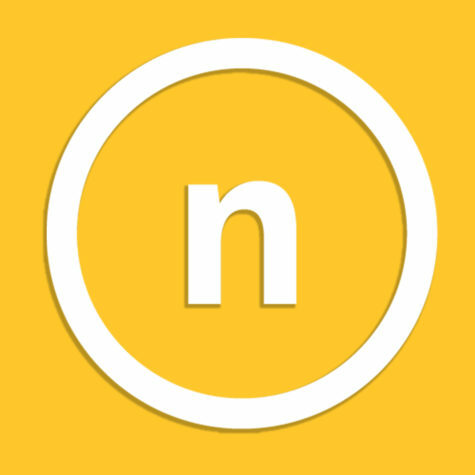 That night, an open mic night will be held at 7:00 p.m. in the Student Union’s multi-purpose room (102). Students can sign up at the Activities Planning Board’s office in SU 327. On Thursday at 8:00 p.m., Pride Week will host a movie night in collaboration with University Housing. Attendees will be able to catch a screening of Moonlight, which won an Academy Award for Best Picture in 2017. Miller says it was chosen because it defies the stereotypes often imposed upon gay male characters in Hollywood, taking a unique look through the lens of the black community. Friday’s events include a Trans Ally Training from 1:00 p.m. – 3:00 p.m. At 5:00 p.m., The Lavender Graduation and Awards Dinner will be held in the Griffin Auditorium. “The Lavender Graduation is an annual ceremony conducted on campuses across the nation to honor lesbian, gay, bisexual, transgender, queer and ally students and to acknowledge their achievements and contributions to the University,” says LGBTQ Programs and Services’ website. The event is open to the campus community, but attendees must RSVP before coming. Pride Week will conclude with the Gay-la: A Wear What You Want, Bring Who You Want Prom Re-Do, an event presented by Common Ground and held in the University Center Ballroom at 6:30 p.m.
Students can RSVP at norsecommonground@gmail.com. Miller said that she’s most excited to bring Advocacy 101 to campus. Miller said that she decided to become an LGBTQ ambassador after the Creating Change conference gave her the conviction to come out as bisexual. She says her dream is to become a United States senator. Though she initially feared that identifying as bisexual might hinder her career, Miller says that the conference and LGBTQ Programs and Services have helped her realize that her voice and passion are powerful enough to reach an audience, no matter what her sexuality may be.